Like a bullet. The new ASICS Hyper-Rocketgirl SP features a totally new lightweight Pebax Spike Plate with a 5 spike configuration to power you to the finish line. The upper package features a lightweight combination of "SPEED MESH" and seamless TPU overlays in the rearfoot for enhanced fit, along with sleek synthetic overlays in the forefoot for secure support. 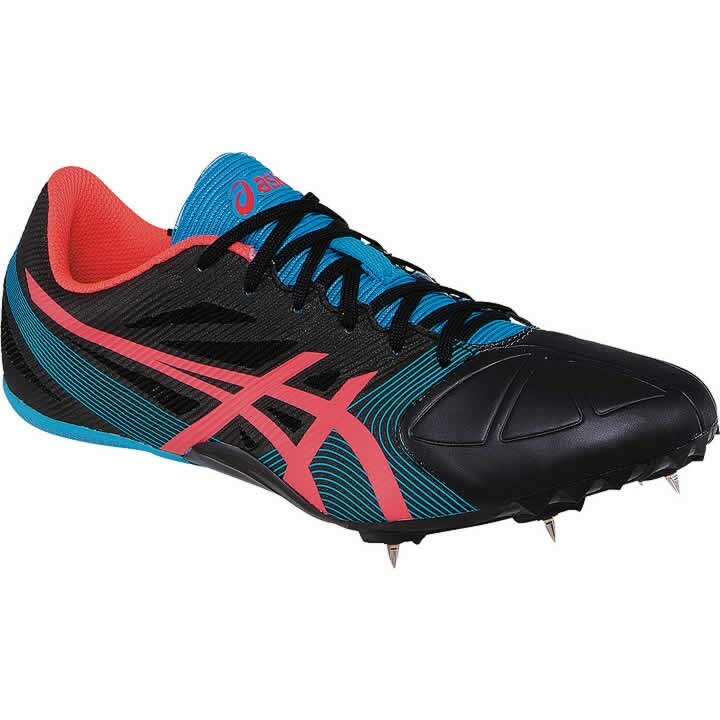 This is the ideal shoe for sprinters seeking lightweight performance at 60m to 200m at a great entry-level price. Comes with 6mm pyramid spikes and wrench. Weight: 6.1 oz (with pins). High-performance shoes specifically designed for racing.